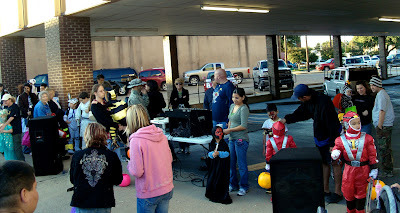 crowds of kids and their families turned out tonight to take part in halloween festivities sponsored by the local downtown businesses. lots of candy and fun! I don't know about where you are, but each year there are fewer and fewer kids Trick or Treating. Happy Friday and weekend right back at ya!